The beauty of roses is like the love of a mother - boundless. 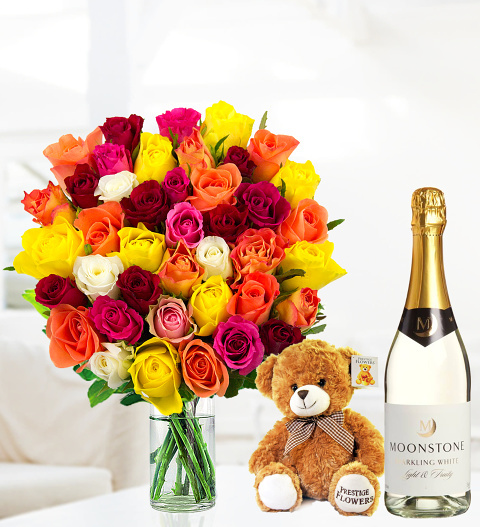 Show Mum some much-deserved love when you send this lovely bouquet accompanied by a refreshing bottle of Moonstone (75cl) and a cuddly Bear. Every size upgrade includes an additional 10 long-stemmed roses (35cm).